Journalist Daniel Pearl was doing the job he was passionate about, and was an expectant father of his first child, when he was kidnapped and killed in Pakistan in 2002. Reporting from a country in conflict is always difficult and dangerous, but Pearl believed his work would help his readers better understand Islamic culture. His tragic, unnecessary death cut off the channel he was trying to open, but his family created the Daniel Pearl Foundation in his memory to make his legacy a true expression of hope. 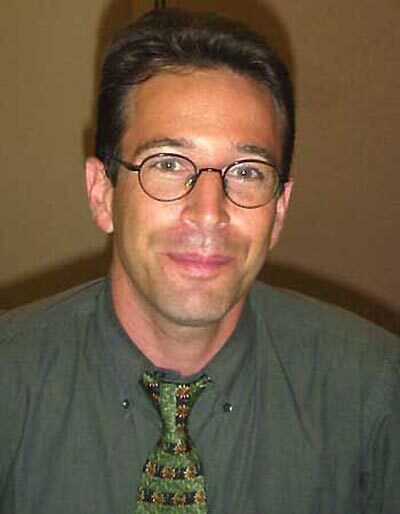 Daniel Pearl was born in Princeton, NJ. He earned a degree in Communications from Stanford University, and went to Massachusetts to work at the newspaper The Berkshire Eagle. Two years later, after winning an award for a story on land use, he was hired by the Wall Street Journal. He worked in various places across the world, including Paris, where he met his wife Mariane. Pearl was an eclectic man, a gifted musician with a facility for the violin and for composing songs for any occasion—for a co-worker days before the colleague’s wife gave birth, or a Christmas spent in the office with other colleagues. His interest in people was so keen that he would often meet people and bring them with him to dinner; his friends and colleagues knew to cook for several people whenever “Danny” was coming to dinner, as he would never arrive alone. These eccentricities might seem an odd combination to make for a stellar reporter, but in fact, these qualities added to his journalistic abilities. Pearl was a skeptic—he looked at everything critically—while being open to everything at the same time. He dedicated to learning as much as he could to present a full story to his readers. This was true whether he was tackling a hard-hitting news story, or something lighter and unusual. Nothing escaped his notice for a potentially good story. The Foundation takes multiple approaches to achieve its goals. Knowing Pearl’s love of music, and how music can bring people together, the Foundation launched World Music Days on what would have been his 39th birthday, where people get together and perform in concerts all over the world. The Foundation also hosts a series of dialogues between Muslim and Jewish communities worldwide in the belief that by talking with each other, a reconciliation of the two faiths and a greater understanding of each other’s similarities and differences can be achieved peacefully and respectfully. The third major initiative of the Foundation is that of journalism. Pearl Youth News invites high school students to take an online certification course to become a PEARL Reporter. The idea is to interest them in journalism (particularly international journalism), and teach them the “rules” of being a good, credible, and honest reporter. The Foundation offers internships, fellowships, and other lecture series throughout the year to foster discussion and ideas to create a better world. In this way, the Daniel Pearl Foundation hopes to carry on Pearl’s work, to leave an inspiring legacy and example for others to follow. As long as the work of the Foundation continues, Daniel Pearl will not be forgotten. "My father is Jewish, my mother is Jewish, I am Jewish"
He did not say it under duress, nor did he say it with Chutspa or with gallantry. He said it in his usual matter-of-fact way, slightly irritated, as if saying: "How many times do I have to repeat myself? 2 plus 2 equals 4! and I am Jewish!" What did he mean by those eleven words? To Danny, "I am Jewish" meant "I respect Islam precisely because I am Jewish, and I expect you to respect me and my faith precisely because you are, or claim to be good Moslem." In other words, "I come from a place where one's heritage is the source of one's strength, and where strength is measured by one's capacity to accommodate diversity, because it is only through diversity that we recognize our common humanity." "Therefore, I am the litmus test of your faith and your strength. Let's come to our senses!" I would like European journalists to understand that each time they portray Americans or Israelis as blood-thirsty baby killers they breed another Omar Sheikh and they risk the lives of millions of innocent human beings like Danny. In a world roamed by religious fanatics, the sport of intellectualizing with fuels of resentment is no longer cute -- it is plainly irresponsible. Once the public realizes the human cost of certain editorial styles, the European press is likely to become more honest and responsible. The U.S. is now facing the challenge of building bridges of friendship toward the Muslim world, and of restoring America's image as a beacon of values, progress and basic freedoms. The legacy of dialogue makers like Daniel Pearl, who earned the respect of decent people on both sides of the East/West divides, and who symbolize America's humanity and goodwill, will become a powerful catalyst in forging a new and better world in the aftermath of the current conflict. History recalls another Jewish person whose face and tragic end personified the horrors of an era -- Anne Frank. Paralleling the story of Anne Frank in the early 1950's, the drama of Daniel Pearl now inspires Jews and non-Jews alike to reflect on the anatomy of hatred and the consequences of anti-Semitism and to stand up for tolerance and understanding everywhere. The difference however is that the diary of Anne Frank was discovered after the holocaust, while Danny's story came to public attention in time to prevent a holocaust. This gives us the hope that, some day, I will be able to tell my grandson: "You see, Adam? Your father's legacy helped us win that battle! Humanity has triumphed!"